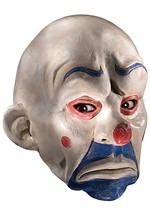 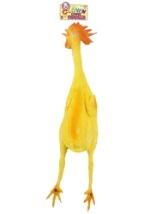 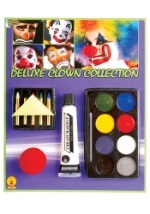 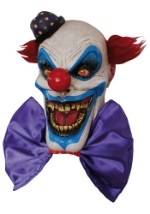 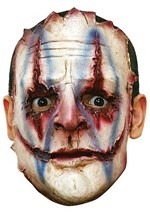 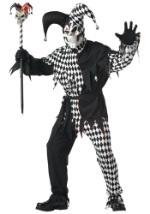 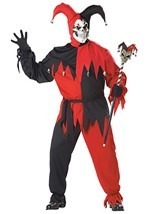 You're sure to impress the king, or possibly frighten him when you add this psycho jester cane to your ensemble! 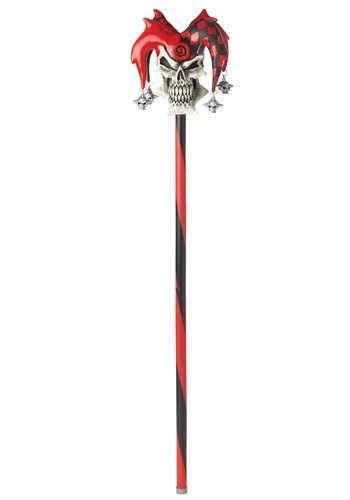 This scary cane has a skull wearing a red and black jester hat at the top. 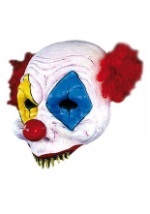 The skull has sharp, pointy teeth and miniature silver skulls hanging from the ends of the hat. 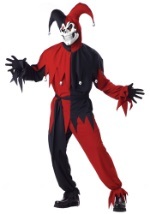 The cane is red and black, and comes in two pieces that easily attach together. 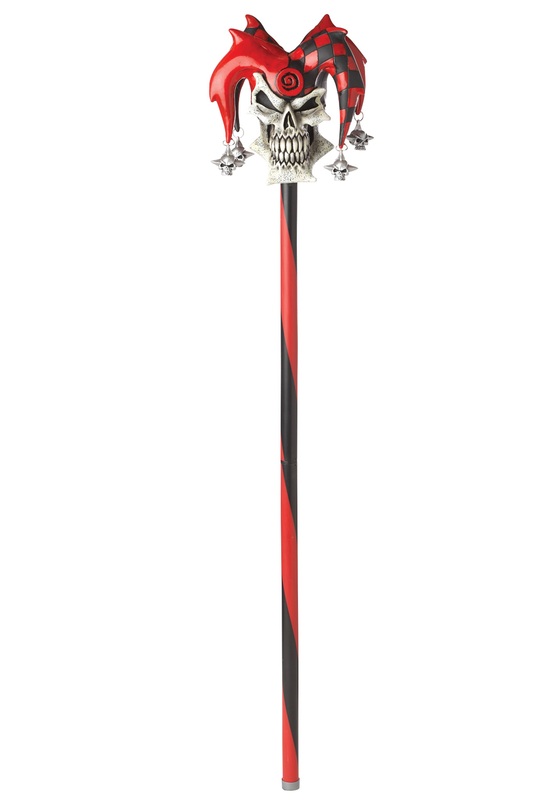 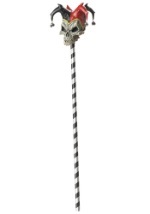 Raise your scary cane high and lead the parade with this skull jester cane!